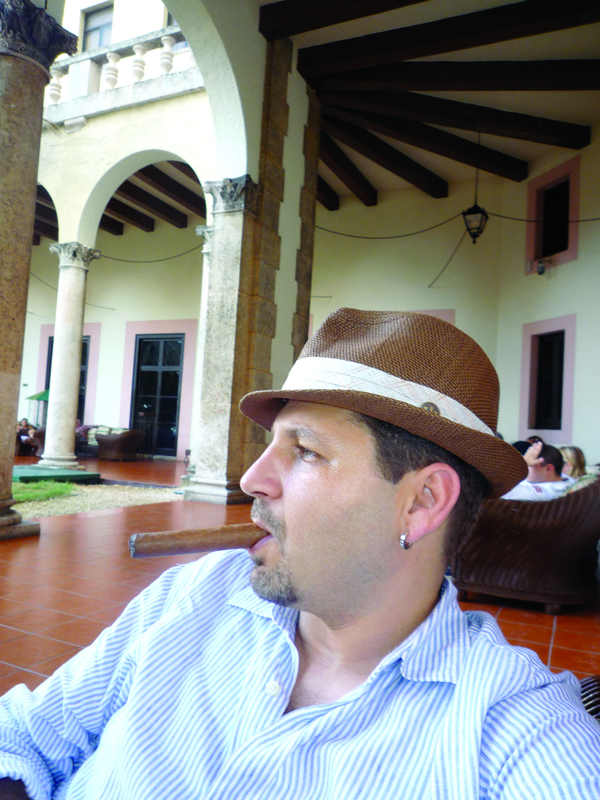 Amir went to Cuba in the late 1990’s to teach graphic design and fell in love with Cuban cigars and the history of the industry. Started collecting cigar antiques as souvenirs of his time in Havana and became addicted. Been collecting and researching ever since. 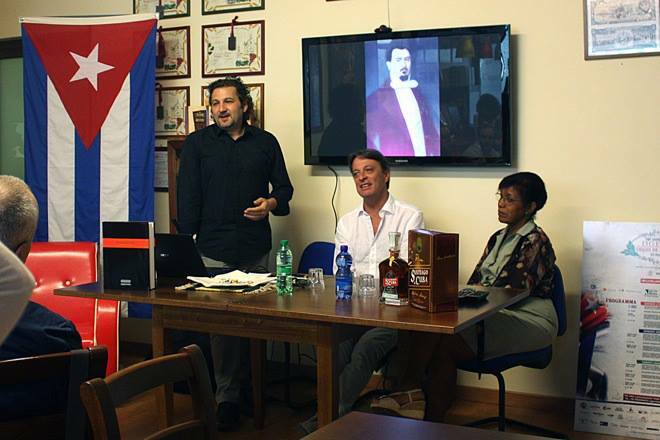 Became a friend of Zoe Nocedo, director of the Museum of Tobacco in Havana, which he quickly became a strong promoter of..
That friendship led to the creation of the book Partagas El Libro that was released this year. Hopefully more books to come. I cannot remember exactly, sometime in the early 1990’s. At that time it was mostly during my monthly poker game. I became a “serious” smoker about 1998 when I was working in Havana and it became a daily habit. I really only have experience with Cuban cigars, being fortunate enough to smoke them from the start. I tend to prefer long thin cigars over large ring guage vitolas. I like the way they age. I prefer complex flavours to strong cigars. I would say my favourite vitolas would range from Laguito No. 1, 2 & Especial to Dalias and Delicados Extra. I rarely use the term “best” I prefer to say memorable. I tend to remember my cigars for the all around experience. This includes the friends I was with, where we were etc. The most memorable cigar that immediately comes to mind was a Dunhill Cabinetta I had the pleasure of smoking in Stockholme in an old friends dining room. That depends on whether I am at home or in Havana. At home it would be early evening as it is almost impossible to smoke anywhere but home in Toronto. In Havana, where life revolves around friends and cigars, shortly after breakfast. Wow, there are so many good combinations and taste is so personal. Lately I have been exploring Irish whiskeys. I would recommend something like an aged Partagas 898 with a Yellow Dot or Middleton Very Rare. My favourite Cuban rums at the moment come from the Santiago brand. With a 20 or 25 I would recommend an aged Trinidad Fundadore or La Gloria Cubana Medaille D’or No. 2. Thank you very much Amir. 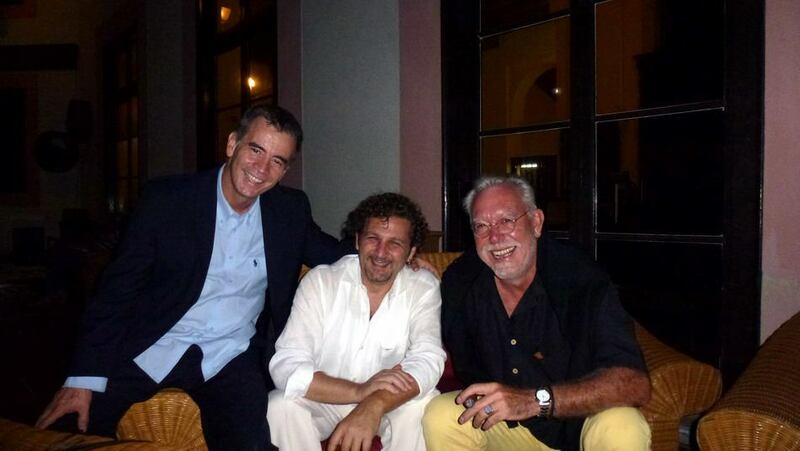 I wish to meet you and to smoke a good cigar in Nacional Hotel. 3 Responses to "“5 questions to: Amir Saarony„"
Massimo, thank you for the honour and privilege. it’s a really pleasure Amir…. Really nice to here that one of the most memorable cigars was smoked here in sweden! Thnk you so much again Amir for all the work you did with the “Partagas El Libro”!